Percy Wood Golf and Country Park in Morpeth sleeps between 4 and 6 people, with the accommodation being caravans. Nestled between the breathtakingly beautiful northeast coastline, which in itself is an Area of Outstanding Natural Beauty, and the spectacular Northumberland National Park you will find Percy Wood Golf and Country Park. Percy Wood Golf and Country Park is situated in a rural countryside setting, bordered by ancient woodland offering a wide range of facilities and recreational activities from days out to local attractions to woodland walks that are a haven for many species of wildlife, flora and fauna. The ancient market town of Alnwick is just 7 miles north of Percy Wood Golf and Country Park with attractions such as Alnwick or Bamburgh castles or the treetop walkways, glorious roses and towering delphiniums at Alnwick Gardens which was also the majestic setting for the Harry Potter films. Percy Wood Golf and Country Park is an ideal destination to get away with friends, family or just the two of you. Percy Wood Golf and Country Park has an 18 hole golf course, childrens’ playground, and an all-weather sports court. If you want to find out what other people have said about Percy Wood Golf and Country Park, read the reviews on Percy Wood Golf and Country Park for more information. And, for those last minute bargains, have a look at some of the special offers available at Percy Wood Golf and Country Park. Brand new for 2019. Modern and stylish caravan with one double and one twin. Spacious lounge area leading on to an open plan kitchen. Brand new for 2019. Modern and stylish caravan with one double and two twin. Spacious lounge area leading on to an open plan kitchen. Find out about Percy Wood Golf and Country Park, including prices and availability. There aren't currently any special offers at Percy Wood Golf and Country Park however, the special offers shown below are all on parks within 30 miles of Percy Wood Golf and Country Park - so you may find these useful. Holiday at Hagg Standard 3 (Sat) in Northumberland starting on Saturday 27 April 2019 for 7 nights. 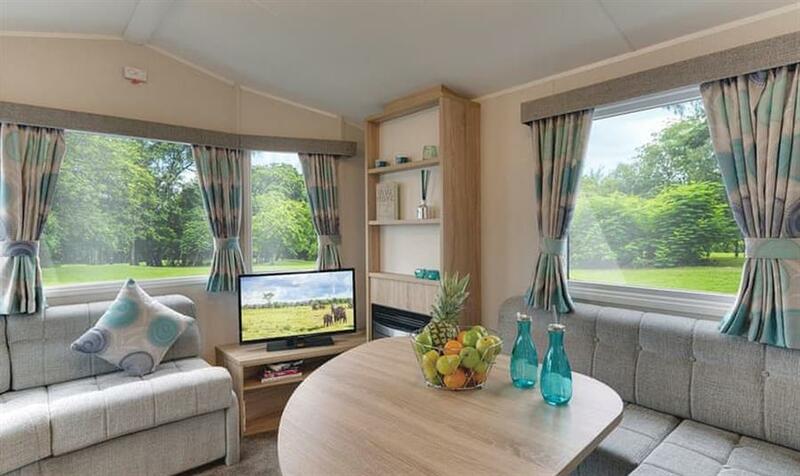 Holiday at Hagg Deluxe 2 (Sat) in Northumberland starting on Saturday 27 April 2019 for 7 nights. 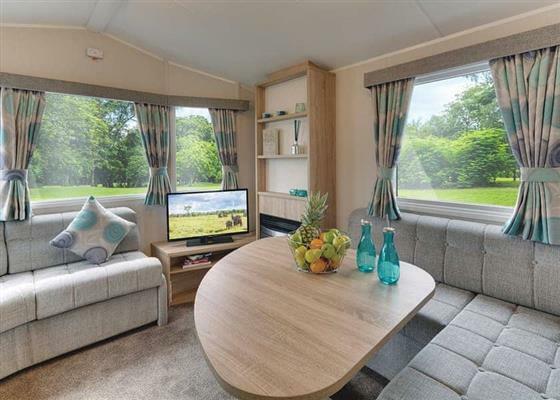 Holiday at Hagg Deluxe 3 (Sat) in Northumberland starting on Saturday 27 April 2019 for 7 nights. 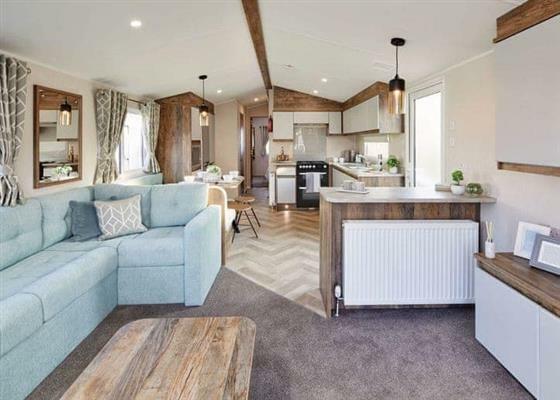 Holiday at Hagg Prestige 2 (Sat) in Northumberland starting on Saturday 27 April 2019 for 7 nights. Holiday at Linden WF in Northumberland starting on Saturday 27 April 2019 for 7 nights. Holiday at Linden in Northumberland starting on Saturday 27 April 2019 for 7 nights. Holiday at Wallington in Northumberland starting on Saturday 27 April 2019 for 7 nights. Holiday at Newborough in Northumberland starting on Saturday 27 April 2019 for 7 nights. Holiday at Hexham in Tyne and Wear starting on Saturday 27 April 2019 for 7 nights. Holiday at Denwick in Tyne and Wear starting on Saturday 27 April 2019 for 7 nights. Holiday at Deleval in Northumberland starting on Saturday 04 May 2019 for 7 nights. Holiday at Chipchase in Northumberland starting on Saturday 04 May 2019 for 7 nights. 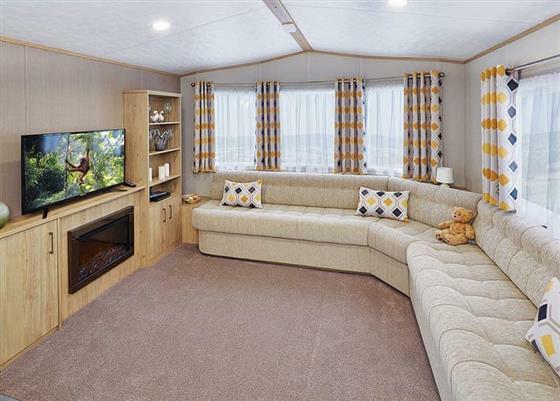 Holiday at Dinnington in Tyne and Wear starting on Saturday 04 May 2019 for 7 nights. Holiday at Hexham in Tyne and Wear starting on Saturday 04 May 2019 for 7 nights. Holiday at Deleval in Northumberland starting on Saturday 18 May 2019 for 7 nights. Holiday at Chipchase in Northumberland starting on Saturday 18 May 2019 for 7 nights. There are 22 holiday parks within 5 miles of Percy Wood Golf and Country Park. Fishermans View in Burnmouth, Berwickshire. 37 miles. Bowser Hill Farm Cottages - High Pasture Cottage in Newcastle-upon-Tyne, Northumberland. 28 miles. Chaswell House in Morpeth, Northumberland, and sleeps 10 people. 4 miles. Spider Cage Cottage in Tow Law, Durham. 42 miles. Starlight House in Whitley Bay, Tyne And Wear, and sleeps 4 people. 20 miles. Shutters in Beamish, Durham, and sleeps 4 people. 32 miles. Bridge End Bothy in Wooler, Northumberland, and sleeps 4 people. 18 miles. Top Byre in Bishop Auckland, Durham, and sleeps 2 people. 44 miles. Alncroft in Longhoughton, Northumberland, and sleeps 6 people. 9 miles. Reiver Cottage in Alnwick, Northumberland, and sleeps 4 people. 6 miles. Iris Lodge (Deluxe) in Amble, Northumberland, and sleeps 10 people. 6 miles. Rothley Lodge in Morpeth, Northumberland, and sleeps 10 people. 13 miles. Donkey Barn in Morpeth, Northumberland, and sleeps 8 people. 9 miles. Bridge End Farm in Wooler, Northumberland, and sleeps 12 people. 18 miles. The Mill House in Earlston, Berwickshire, and sleeps 10 people. 43 miles. Tarset Tor in Hexham, Northumberland, and sleeps 20 people. 26 miles. Reapers Cottage in Bamburgh, Northumberland, and sleeps 6 people. 18 miles. Tipstream in Norham, Northumberland, and sleeps 4 people. 31 miles. The Old Joiners Shop in Alnwick, Northumberland, and sleeps 5 people. 10 miles. Doray in High Newton-by-the-Sea, Northumberland, and sleeps 7 people. 14 miles. Craster Cottage in Beadnell, Northumberland, and sleeps 6 people. 16 miles. Skal in Beadnell, Northumberland, and sleeps 6 people. 16 miles. Paradise Lodge in Alnmouth, Northumberland, and sleeps 7 people. 6 miles. Hill Head in Bamburgh, Northumberland, and sleeps 10 people. 19 miles. Luckenburn in Jedburgh, Roxburghshire, and sleeps 6 people. 25 miles. Thornhill in Belford, Northumberland, and sleeps 6 people. 18 miles. Trencrom in Alnmouth, Northumberland, and sleeps 8 people. 7 miles. The Old Workshop in Alnwick, Northumberland, and sleeps 2 people. 10 miles. Mole Cottage in Hexham, Northumberland, and sleeps 10 people. 28 miles. Tilly-Ho in Seahouses, Northumberland, and sleeps 6 people. 18 miles. Bramble Cottage in Craster, Northumberland Coast, and sleeps 5 people. 11 miles. The Old Forge in Alnwick, Northumberland, and sleeps 4 people. 6 miles. Belses Muir Shepherds Cottage in Ancrum, Scottish Borders, and sleeps 6 people. 38 miles. Harthaven in South Shields, Tyne and Wear, and sleeps 5 people. 27 miles. Ebbe Retreat in Beadnell House, Northumberland, and sleeps 4 people. 16 miles. School Hall on the River in Warkworth, Northumberland, and sleeps 4 people. 6 miles. The Dale Manor in Allendale, Northumberland, and sleeps 18 people. 35 miles.